What an affordable way to get on Beautiful, 1630 Acre Lake Alice. This property has an older mobile home on it, well and septic and a 2 car garage. 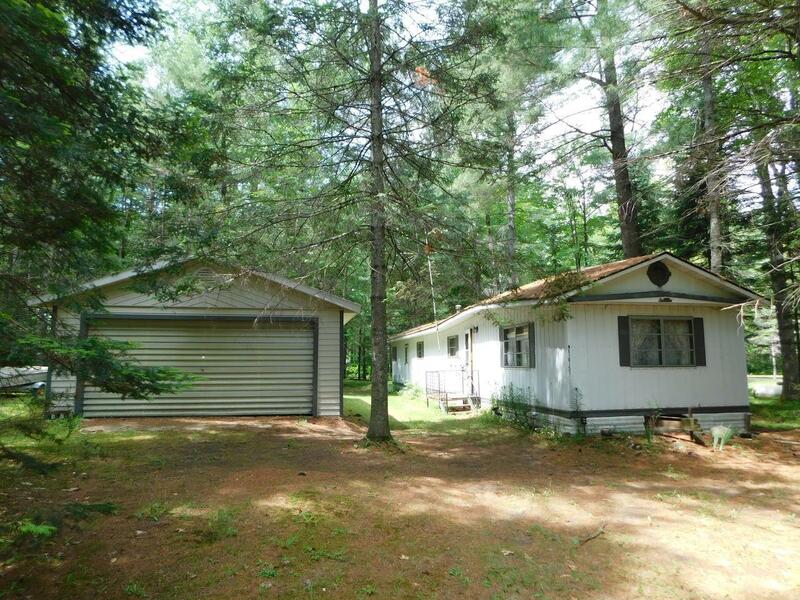 The deeded access, is right down the street, and this property has a dock. Priced to sell as is... and ready for a new owner to enjoy lake fun!! Lake Alice is a full rec lake with great fishing. Over 7 miles of River to explore when boating north of the lake. Plenty of bars/restaurants on the lake to grab lunch, gas for the boat, ice cream, and northwoods fun.